← Welcome to the 2017-2018 RetroSki Season! Change. We humans are kind of ambivalent about change. We’re all for change until it affects us and then somehow it’s different. Actually this column is all about our reaction to change, well at least as it pertains to skiing. We call it “nostalgia” – that longing for the way things used to be before somebody changed them. 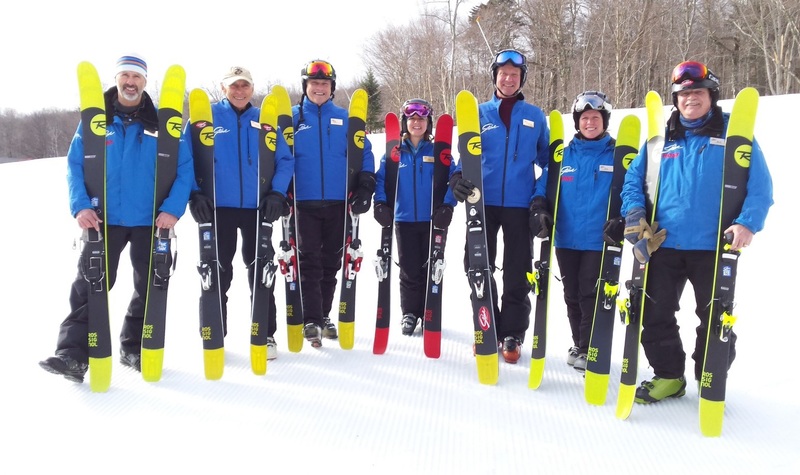 With Vail taking over the operation of the Stowe ski area, we’re seeing some changes. 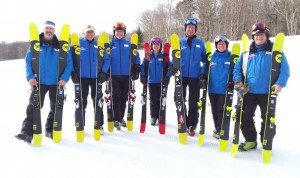 Some of those changes affect the volunteer-based programs at the mountain such as the Stowe Hosts. With my winter travel plans, I didn’t feel I could make the day commitment under the new program. So after 21 years I opted out of being a Host this winter. The Stowe Host program has been a wonderfully diverse group, particularly in recent years. Doctors, bartenders, lawyers, carpenters, teachers, men, women, old, and young all worked well together. Yes, despite the common perception, we weren’t all retired! In today’s society there aren’t many opportunities for such diversity in ages and backgrounds. I do want to highlight three long-serving hosts who are also retiring this year. Their retirement is more due to health issues, either theirs or their significant others, rather than changes to the program. 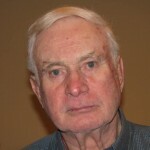 Bob Edmonds was the longest tenured host with 30 years. He joined during the first year of the Host program. Bob was the ultimate tour-giver! One of a host’s responsibilities is giving tours. There are the scheduled tours that meet at 10:30 in the morning and there are spontaneous tours when you encounter guests that need help finding their way around the resort. Bob was the master of both! If there were only three guests on the whole mountain, he could somehow talk them into a tour. And the guests loved it. He received more notes of appreciation from guests than all the rest of us combined. 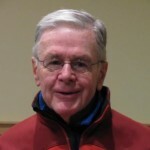 Bob was an amateur historian of skiing and particularly, skiing in Stowe. Part of his tour banter was to share the history of the area. Because of his success with tours, Bob was asked to document this “history” and it was distributed as a reference for other hosts. The document began: “It was a dark and stormy millennium around 380 million years ago when the glaciers carved out Mt Mansfield and Smuggler’s Notch.” Skiing didn’t come into the narrative until about page 6! Those must have been long tours! 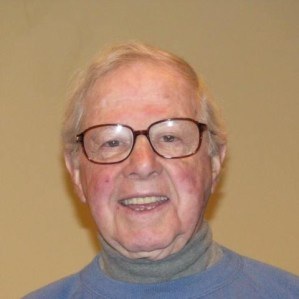 Bud Kassel was a host for 23 years. He stops one year short of being the first 90 year old host! I think most people who meet Bud are surprised when they find out his age. He is still a smooth technical skier and still plays tennis regularly. As a host, guests loved his personable demeanor and often would spend several hours with Bud on the slope and in the lodge. 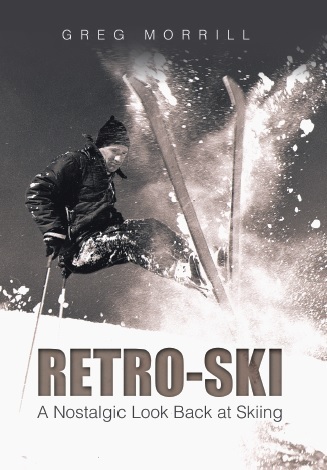 Bud is a true RetroSkier. When he was a youth and learning to ski. His family visited Pico, home of the first T-bar in the United States. When asked if he was familiar with the T-bar, Bud said “no.” So the lift operator asked “Andy” to show him how to ride the lift. “Andy” was actually a young Andrea Mead Lawrence who would go on to win multiple Olympic golds! Then there’s Peter Lawlor. Peter had not been a host for that long, but he could make a claim that few could match. He first skied Stowe as a kid in 1943! Talk about seeing some changes over his skiing life. Peter was a frequent responder to my trivia questions and definitely qualified as a RetroSkier. I certainly hope that I’ll see Bob, Bud, and Peter on the slopes sometime this winter.